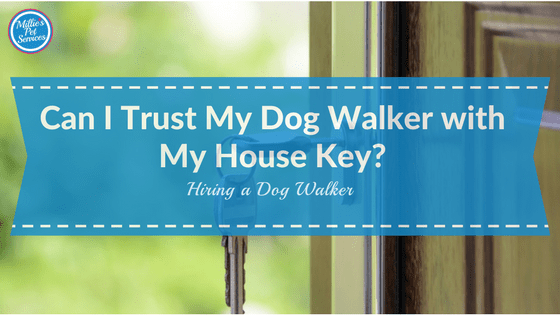 Hiring A Dog Walker: Can I Trust My Dog Walker with My House Key? Asking “Can I trust my dog walker with my house key?” is a natural question to ask when choosing whether to hire a dog walker and which one! Though, I must admit that I understand why some people dismiss this question. Why? Well,they would argue that if you don’t trust your dog walker with your house keys, should you really trust them to be looking after your dog? But in reality, I know that handing over your house keys to a dog walker goes beyond the question of trusting them with the care of your dog. Trusting your dog walker with your house keys is very different to trusting them with your pet. While your Dog Walker may have all the necessary skills and experience to be working with your pet, how do you know they put the right safeguards in place to ensure your home is protected too? Can I Trust My Dog Walker With My House Key? This protects your privacy and security particularly if the keys were lost. Each key should be marked up with a serial number. This means that only your dog walker knows which key is for your own home. It also ensures that if they were ever to be lost and found by a stranger, they would not be able to identify your home from any label. Key tags could, however, be labeled with your dog walkers business phone number and instructions to call if found. Your dog walker should hold a second set of keys primarily in the case of an emergency. While unlikely a second set will be required, it’s important to plan for every eventuality. You want to ensure that if your regular dog walker was to be taken ill or if the keys were lost that they have a backup in place. This means that your dog walker can ensure your dog will never be left at home alone with no way to access the property. This will help provide you with further peace of mind. Your dog walker should ensure that they track who currently holds each key (for e.g if your main dog walker is on holiday and you have agreed on cover with a second dog walker). This will ensure you and they always know the location and holder of each key. You and your dog walker should ensure that keys are never left under a mat or a plant pot or any assumed ‘safe’ place. This includes putting them through the letterbox. If you need to collect keys or return them for any reason, you should agree with your dog walker that this will always be in person. A number of measures could be put in place to prevent keys being lost, including belt attachments for key rings and heavy duty rings. Keys should also be stored in a locked key cabinet when not in use. However, if they were to be lost, part of the benefit of working with professional dog walker is that they should have insurance in place. Their insurance policy should include the cost of locks being replaced by a professional locksmith. If you do have alarm codes or any other access information that you need to provide to your dog walker this should also be stored securely. This information should never be with keys and instead held remotely for additional security. Should You Trust Your Dog Walker with Your House Keys? I understand that passing over your home keys to a dog walker is not easy for everyone. Trust is a part of that which will increase over time, but with the right process in place, you can be assured that your keys are in safe hands from day 1. Please do take time when hiring a dog walker to ask them about their key holding processes. 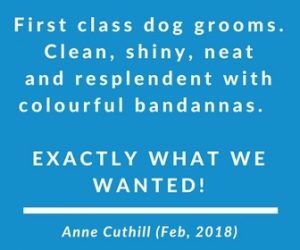 You’ll find this questions set out in our downloadable hiring a dog walker checklist to ensure that you cover all the questions you wish to ask.